Impressive large flower with an open contrasting crown. 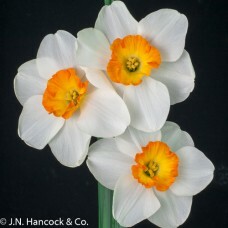 Wide white petals enclose an orange small cup with a yellow centre. Mid-late.